What are some questions to ask a home inspector? Given this professional is charged with checking out a home for any flaws before you buy it, he's an important safeguard who could protect you from purchasing a lemon—and squandering tons of cash in repairs. So, how do you separate a great home contractor from a merely good one? 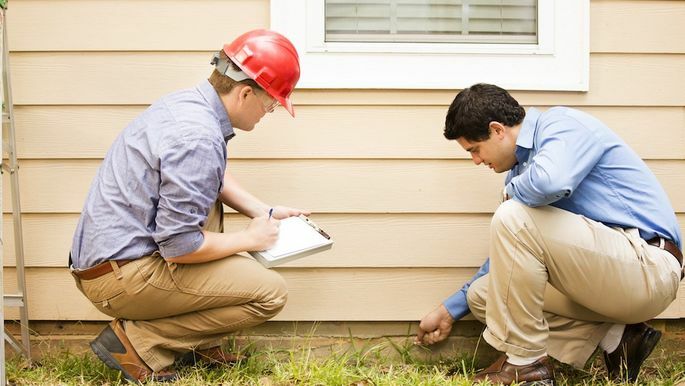 It boils down to interviewing home inspectors to gauge how thorough a job they'll do. To help, here are some of the best questions to ask. Bonus: This'll also help you know what to expect! Knowledge is power, my friends. 1. "What do you check?" "A lot of people don't know exactly what a home inspector is going to do," says Frank Lesh, executive director of the American Society of Home Inspectors. It's a lot! A home inspector scrutinizes a long list of more than 1,600 features on a home. "We inspect everything from the roof to the foundation and everything in between," Lesh says. Going into the inspection with a clear understanding of what the inspector can and can't do will ensure that you walk away from the inspection happy. 2. "What don't you check?" There are limits. For instance, "we're restricted to a visual inspection," says Lesh. "We can't cut a hole in somebody's wall." As a result, an inspector will often flag potential problems in the report and you will have to get another expert—a roofer, HVAC person, builder, electrician, or plumber—to come back and do a more detailed examination. "Understand that we're looking at what exists in the house today," says home inspector Randy Sipe of Spring Hill, KS. "I can't see into the future any more than anybody else." 3. "What do you charge for an inspection?" Home inspections usually cost between $300 and $600, though it will depend on the market, the size of house, and the actual inspector. Generally you'll pay the inspector the day of the inspection, so you'll want to know in advance how much and what forms of payment are accepted. Lesh cautions against going with an inspector who quotes you a very low price. "That's often a sign they're having trouble getting customers," he says. 4. "How long have you been doing this?" Or perhaps more important: How many inspections have you done? A newer inspector doesn't necessarily mean lower quality, but experience can mean a lot—especially if you're considering an older home or something with unusual features. 5. "Can I come along during the inspection?" The answer to this should be a resounding yes! Any good inspector will want prospective owners to be present at the inspection. Seeing somebody explain your house's systems and how they work will always be more valuable than reading a report, and it gives you the opportunity to ask questions and get clarifications in the moment. If an inspector requests that you not join him, definitely walk away. Run! 6. "How long will the inspection take?" Inspections often take place during the work week, when the seller is less likely to be around. Knowing how much time you'll need to block out will keep you from having to rush through the inspection to get back to the office. You'll get only a ballpark figure, because much will depend on the condition of the house. But if you are quoted something that seems way off—such as a half-day for a two-bedroom apartment, or just an hour for a large, historic house—that could be a red flag that the inspector doesn't know what he's doing, says Lesh. 7. "Can I see a sample report?" If you're buying your first home, it can be helpful to see someone else's report before you see your own. Every house has problems, usually lots of them, though most generally aren't that big of a deal. A sample report will keep you from panicking when you see your own report, and it will give you a sense of how your inspector communicates. It's another opportunity to ensure that you and your inspector are on the same page.